Five years ago, I started this blog as a way to share our summer activities. My family looked like this...my oldest was five and the girls were two and zero. We were going to be stuck at home a lot with a napping baby and I wanted Jack and EJ to still have fun and stay busy during the summer. The only things we had going on outside of home were t-ball once a week (for about a month), a one-hour summer school Spanish class (for 3 weeks), and half-hour swimming lessons (for about 2 weeks). It was going to be a long summer if we didn't have a plan for things to do each day. 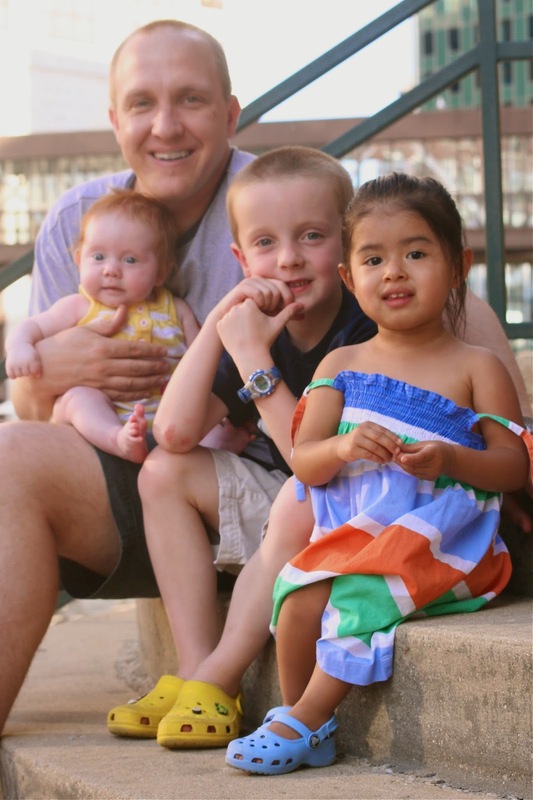 As we head into this summer, my kids look like this...the youngest is now five and the other two are seven and ten. These days I wonder when we actually get to be home. Our days are now filled with baseball, softball, t-ball (for the youngest this time around), half-day summer school, classes at the university's in the city, swimming lessons, soccer camps, pom poms, karate, and girl scout camp. Things are just a little different, but also it is a lot easier to start a random project (even run to the store to get materials) these days. I was planning to skip the big list this year, but the kids were not having it. So, I brainstormed a short list for ideas in 5 categories (Outdoor, Science, Help, Art & Places to Go). The kids are old enough now to pick what they want to do each day, so it requires very little planning from me. 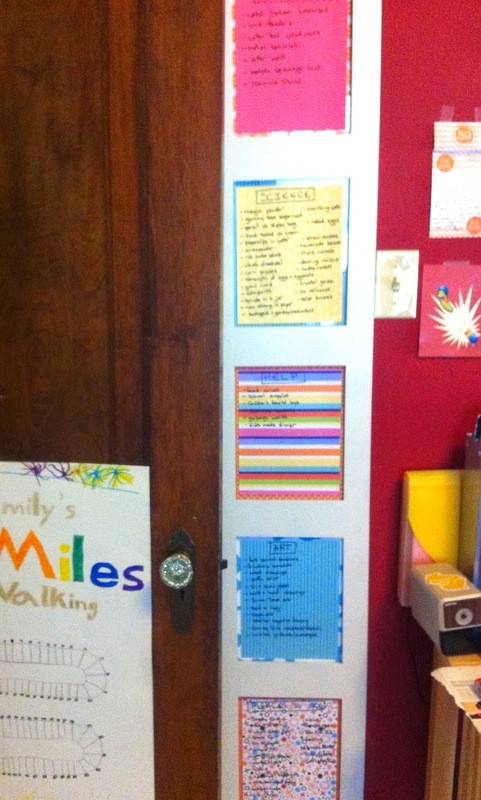 We'll also be doing summer reading, explore our parks, search for geocaches and they've asked me to update their daily/weekly to do dry-erase frames in the hall (my kids beg to check things off a list...don't know where they got that from). The best part of them being a little bigger is doing things all together as a family. The kids made this chart (another plus...I'm not in charge of all the charts anymore) which is a take-off from this family biking chart. Last night, we walked to dinner and back...3 miles down, 97 to go. Yay Summer! 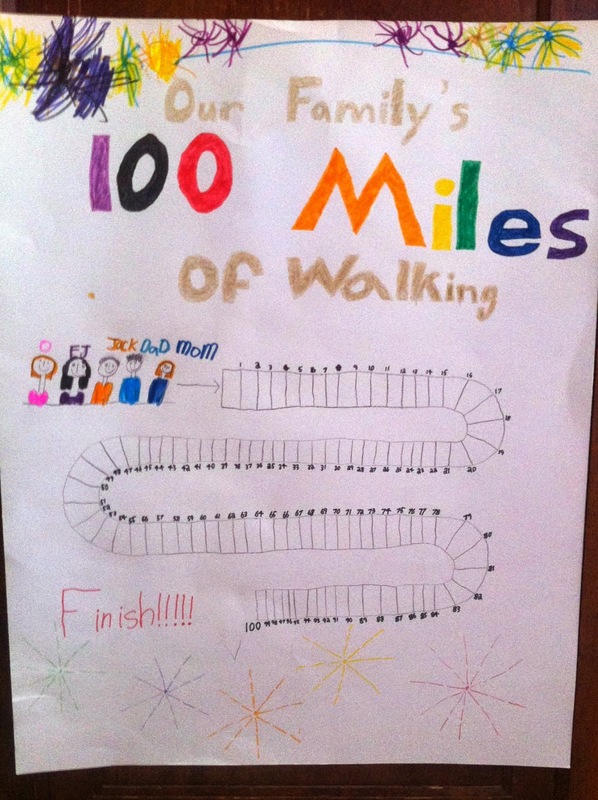 Love the 100 miles of walking! Great motivation.